The Sanctuary is an exclusive enclave of luxury estate homes located on the Intracoastal Waterway in Boca Raton. Even though it is situated on such a popular waterway, this elite community offers the utmost in privacy to its residents, as it is tucked away behind large mangroves that make up some of the area's protected nature preserves. 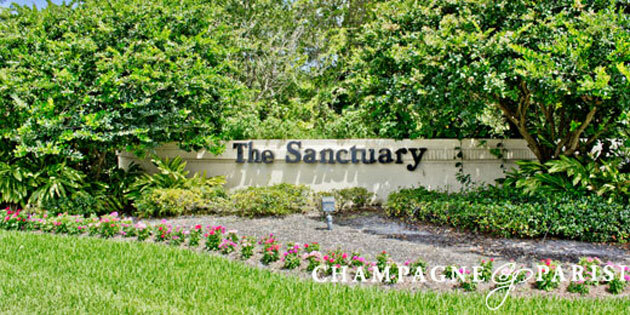 Actually, the residents of The Sanctuary consist mostly of celebrities, top executives, and the mega-wealthy, adding to this neighborhood's upscale reputation as one of the top gated communities in Boca Raton, FL. The Sanctuary made the Forbes Top Ten List of Most Expensive Gated Communities in the Country, and it's easy to see why. There is a 24 hour manned gate at the main entrance and the service entrance, as well as multiple road patrols and constant water security patrol. This breathtaking community is encompassed by a 27-acre bird and wildlife preserve, as well as expert tropical foliage and shimmering waterways. The estates in The Sanctuary are nothing short of architectural masterpieces, finished with the most impeccable intricate designer touches. This yachting haven features many homes with fully-outfitted boathouses and deep water docks able to accommodate large vessels, with the area having no fixed bridges for easy access to the ocean. Accordingly, homes in The Sanctuary price from $1 million to over $20 million and range in size from 4,000 square feet to over 25,000 square feet. There are also ready-to-build lots that feature deep water frontage for those who desire to build their own custom-designed home. The Sanctuary in Boca Raton is truly a private paradise created for the elite, those who desire some of the most luxurious and prestigious of lifestyles available.